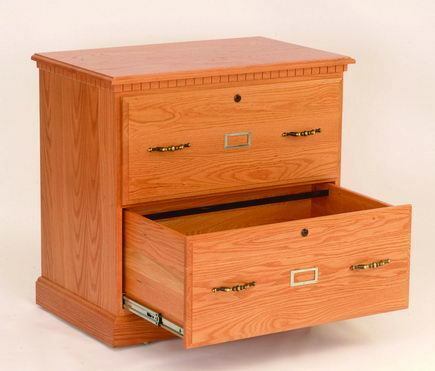 Incorporate this handcrafted Lateral File Cabinet into your office furniture collection to make it a bit more organized and to bring more order into your filing system. The lateral file drawer design makes locating specific files easier with the folder layout going from side to side instead of front to back. Each drawer comes standard with secure locks to keep your files safe. Contact one of our furniture specialists today for additional information on this attractive and functional solid wood lateral file cabinet.